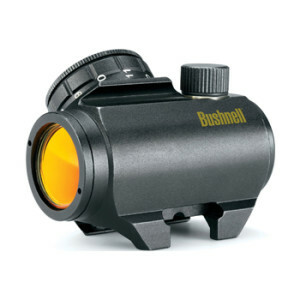 Best Gun Sights Reviews If you want to purchase a gun sight but think it’s hard to find the right one, we’ll help you to choose what fits your purposes best. The goal of a gun sight is to create a better opportunity for your success when shooting at targets, or when hunting. It can increase your accuracy tremendously, and you will wonder how you went so long without one. Gun sights are optical devices to allow you to see your target seem “closer”, similar to the view of a telescope, but with much less bulk. When you can aim the gun, and set your marks easier and better, your shooting will probably improve. Reviews Bee analyzed multiple gun sight reviews to be able to summarize all the information in one place, for you. Why spend hours researching, when we have done it all for you, and you can be out practicing instead. But first, let’s look at the main features you need to know before purchasing your new gun sights. You should probably learn a little about the following basics first, and we have just the information you need. Open sights include a rear sight and a front sight. The first is typically an upright, transversely mounted metal blade, into which has been cut, a “V”, “U”, or a square shaped notch. Usually it is secured in a dovetail slot, or it may be screwed onto the gun barrel toward the breech end, so that the notch lines up with the shooter’s eye. The latter has the form of a vertical blade, or post dovetailed, and it is screwed, or sweated onto the muzzle end of the barrel, often on some sort of ramp. Sometimes it is protected by a removable metal hood. The idea is to center the front post in the rear notch and keep the top of the front sight level, with the top of the rear sight. When it is correctly zeroed in, the bullet should hit just at the top of the front post. Open sights have many advantages. For example, they are very common, inexpensive to produce, uncomplicated to use, sturdy, lightweight, resistant to severe environmental conditions, and also they do not require batteries. That’s a lot of good reasons to choose it. Aperture sights are also called “peep” sights, and more recently, “ghost ring” sights. They use a front sight like the open sights do, but the rear sight is simply a small ring, which is mounted close to the shooter’s eye. Aperture sights can be mounted in different ways: on the tang, the cocking piece, or the receiver, depending on the type of gun. The shooter looks through the rear sight’s aperture, trying to focus only on the front sight and target. The eye automatically centers itself in the rear aperture, which is seen only as an out of focus blur. Several types of sights may be referred to as “red dot” sights. There are some scopes, that for them specifically, there may be a red dot in addition to the reticle. The “reflex” and the sights are, “holographic”, more commonly referred to as red dot sights. 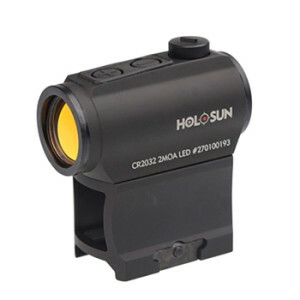 Red dots are considered to be a fast acquisition, and an easy way to use gun sights for target shooting, hunting, and in police and military applications. 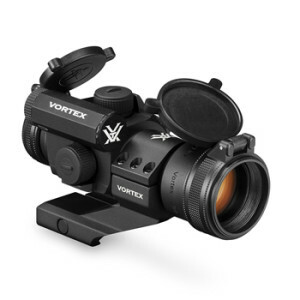 Besides firearm applications, they are also used on cameras and telescopes. As no personal protection handgun is fully equipped without a laser sighting system, it is worth choosing it. 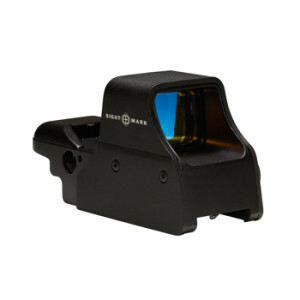 Laser sights offer immediate protection and increase your chances to survive in low light conditions, and can assist you as a threat deterrent by potentially de-escalating deadly encounters. Shooters of all levels of expertise, from first-time shooters to advanced marksmen, can increase their confidence while using laser sights, because they have the ability to get on and stay on target. Don’t forget to consider these objectives before making a purchase. 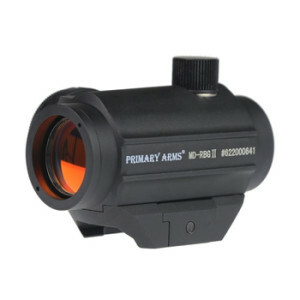 Though there are many types of reticles, only a few are popular. The plain reticle is just two intersecting lines with no other features. With this type, you can only choose how thick, or thin the lines are. 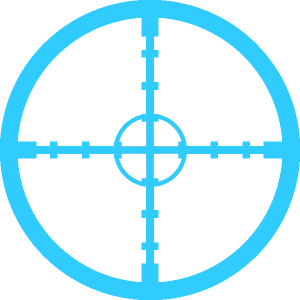 This reticle is often used for paper targets and thin lines might be best. A duplex reticle has thick lines that taper to thin lines near the center of view. As it addresses the most needs, it is the most popular reticle. In this reticle lines are thicker on the edges. These sections are easier to see against a dark background and the thin lines provide a more precise aiming point. 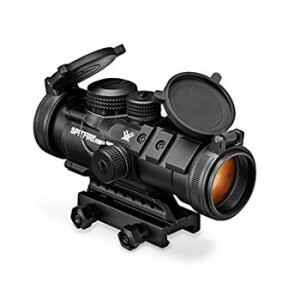 The mil dot reticle gives additional aim points, plus it can be used to determine range, if the shooter knows math. Adjustable objective, (AO), means a scope has a parallax adjustment (“parallax” is the term that describes the difference in angles between objects that are seen up close and those seen far away). It means that the reticle in a scope is closer to your eye, than the target. But, if you don’t place your sighting eye at the same place every time you look through the scope, the reticle will move just a little, in relation to the target. That’s going to move the strike of the pellet, too, which makes for less accuracy. Airgunners make great efforts for accuracy that other shooters never dream of. 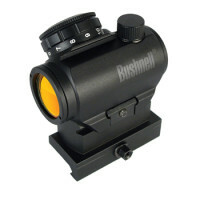 The most part of scopes with adjustable parallax (also called AO) have the adjustment on the objective bell. You should not confuse parallax adjustment with focusing the scope. If the parallax is adjusted, it cancels as much of the parallax as possible, between the reticle and the target, to give you the best chance to hit the target. The most important parts of the gun scope are the lenses. The largest lens is the objective lens. It is on the end of the scope. Its purpose is to transmit light back to the ocular lens, the lens that is closest to your eye. 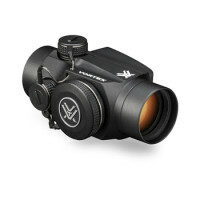 Most gun scope lenses are waterproof and fog-proof. The ocular lens enlarges the light from the focal point. When you look through a scope, the image you see is that light. They are basic and cheap defensive structures which are also the simplest element of automatic defenses. They use magazines for ammunition that are refilled manually, don’t require power, and can operate practically anywhere as long as they have sufficient ammunition. The total Reviews Bee rating sums up the overall picture of every product. Reviews Bee works tirelessly to ensure that we are providing the best product recommendations to you and your family. 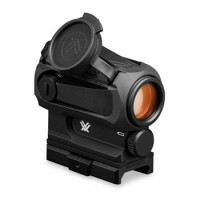 In rating the various gun sights available, we strive to give you the best information possible. Our algorithm includes information from both expert and consumer resources. There is no need to spend hours on researches, because Reviews Bee instantly gives all researches and analysis for you and creates a Top list to save your time and money. 2. We Analyze the Data Expert Popularity Score, Expert Ratings, Consumer Popularity Score, Consumer Ratings and Consumer Complaints are inserted into our algorithm in order to calculate our Reviews Bee Score. This score, in turn, is used to rank each gun sight in our Top 10 recommendation. The Reviews Bee score is a summary of each of the most important factors indicating the value of a gun sight. 3. We Deliver The Best Results By taking each of these essential factors into account, we are able to give each gun sight an overall Reviews Bee Score that ranks each product against the others in our Top 10 list. By using a vast array of expert and consumer ratings, reviews, and feedback, Reviews Bee provides you with the most comprehensive analysis of product information available to you. You can make your purchase knowing that the best research was utilized to make your decision. We came up with the popularity score for every gun sight provider while analyzing 25 expert sites that are trustworthy. 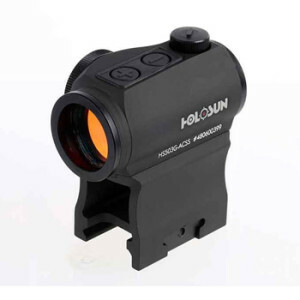 Based on our detailed evaluation, each gun sight is assigned an expert popularity score based upon how many times each product is positively mentioned by experts in the industry. By analyzing all the expert review sites our algorithm summed up the average ranking for every gun sight in their rankings and that is how we came up with the final score for each gun sight brand. We managed to gather more than 9850 reviews from 72 reliable sources and our algorithm calculated the average score for each brand. In order to understand how satisfied those consumers were, we analyzed the total number of reviews. We collected all the reviews and the number of stars people gave for each product. Based on these findings we came up with the average customer rating. This is how we managed to bring out the gun sight reviews through which you know how the consumer can rate the gun sight. Through this, we show both sides of the product whether it’s positive or negative in nature. This then makes it a negative factor in our algorithm. This as a result makes the best gun sights reviews. That is why gun sights reviews not only have positive comments mentioned but also the negatives as well.